We are gearing up for a big anniversary! Next year in Houston, we will be celebrating USITT’s 60th anniversary. 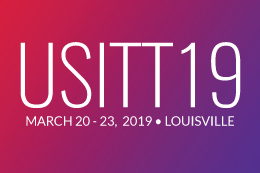 At USITT19 in Louisville, the Board of Directors announced the launch of a new fundraising effort — Setting the Next Stage — to improve the financial liquidity, security, and stability of the Institute. These are extremely important goals to assure that USITT thrives for the next 60 years. Your gift for USITT’s 60th anniversary matters! Increase the Edward F. Kook Fund by $100,000 to support new, original and imaginative research to benefit the entertainment industry. The Kook Fund supports USITT grant efforts to individual member research projects. Increase the Samuel Scripps Fund by $100,000 to support member opportunities abroad by providing funding for the U.S. entry in the Prague Quadrennial, sponsored by USITT, support for individual members’ entry and participation in World Stage Design, and funding travel grants for international activities. Increase the New Century Fund by $200,000 to increase and secure our student and young professional awards programs. Our diversity/inclusion activities (including Gateway), the Rigging Safety Initiative (RSI), the Stage Management Mentoring Project (SMMP) and other mentoring programs are all supported by New Century Fund gifts. Increase the USITT Fund by $200,000 to expand the financial base securing the future of USITT. Only the investment income earned by the USITT Fund’s principal can be used – like only using the interest on your savings account. USITT Fund donations are seen as having a forever impact. Our fifth goal is to increase Loft Block Society participation. The campaign challenges us to increase contributors to the Loft Block Society, the Institute’s planned giving program. We hope to double the membership of the Loft Block Society with those who want to include USITT as part of their legacy. As of today, we’ve raised more than $337,000 of our $600,000 goal! We hope that you’ll make a “stretch gift” — perhaps the largest contribution you have ever made to USITT. Or perhaps it’s your first contribution to USITT. Every single dollar gets us closer to our goals of having more security and stability to pursue more activities, programming, and opportunities for you. These links will connect you with our online pledge forms, either for a one-time gift for the total amount of your pledge or for a multi-year pledge payment schedule. If you want to make your payment in some other form (IRA distribution, gift of appreciated stock), let one of us know, and we’ll connect you with the right staff person in the National Office to assist you. The anniversary celebration at our 60th Annual Conference & Stage Expo in Houston, April 1-4, 2020, will be epic! 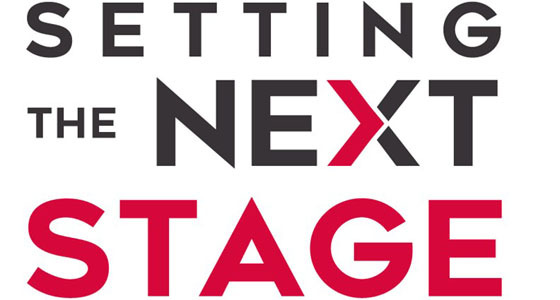 We hope that you’ll join in the celebration today with your gift for Setting the Next Stage!